I’ve found myself constantly on the hunt for a good mobile game to play, because let’s face it — apps that are capable of starting revolutions like Angry Birds did are few and far between. I did my usual, periodical trip to the top free games chart at the App Store. At the #4 spot was a seemingly intriguing game called Waterslide Extreme. Lured into a sense of false trust, I downloaded the game. After several plays, I can only be amazed that it even got in the top 10 at all. First of all, the game hasn’t been updated since 2009, and I’m pretty sure that’s a really big red flag, and only adds more to the enigma of how this game is doing so well amongst the likes of Subway Surfers, the mobile port of the online Agar.io game, and a mobile solitaire (which is another mystery entirely). Additionally, the game has almost 230,000 ratings, which meant that there were people that really had to push this game to the top with as much effort as it would take to cut down a tree using a package of toothpicks. “But Sam, is the game itself good?” Well, if you’re a fan of cheap downloadable browser games from 2004, then I think you’ll find yourself seated cozily in the “niche” that Waterslide Extreme carves out. The visuals are pretty shallow, even for 2009 standards; that year brought us Canabalt, the founder of the “endless runner” craze, which had more visual polish (even with an arcade-style interface!) with its 2D gameplay. When I start connecting dots and realizing that your app that has been released in the age of the Xbox 360 and Playstation 3 has worse graphics than the original Playstation or even the deader-than-disco Dreamcast, you know there’s a problem. The drab visuals are accompanied by even shoddier music consisting of Garageband compositions that give away all too well when one loop finishes and another starts. For some reason, there are no additional sound effects. Just because. It’s at the very least good that the game has the decency to offer to turn off the music. The two games do have some differentiations, unfortunately. The obstacles are sensible in Temple Run, like having to sway out of the path of a blockage, or submerging yourself underwater to avoid a tree branch that you can’t sway out of. This game could’ve had you swerving to avoid breaks in the waterslide, but nooooooooo. That would make too much sense, so what are your enemies in the game? Crabs and evil rubber ducks. There isn’t really much of a change to this algorithm, except sometimes the sky gets palette-swapped for a sunset, although calling it a sunset would be disgracing one of the most beautiful parts of the day. What I should call it is a purple-orange crossfading gradient. Why and how would anyone make a giant waterslide careening through the city? Who would be ballsy enough and stupid enough to try and ride said waterslide? Even if you did muster the courage to take on the slide, the ride would probably be one of the most terrifying experiences of your life. The waterslide is even made to have a glass bottom at times to show you how high up you are and what a horrible life decision you’ve made by getting on this contraption of death. Of course, it’s only traumatizing given that you survive through the whole thing, considering the game proposes a threat that if you lean your phone too far to one side, you can potentially fly off the waterslide. If you happen to do so, the game slaps you on the wrist with a tongue-in-cheek “Whoops!” that totally overshadows your grim fate in a way that almost feels taunting. In the basis of formulating opinions for this game, I’ve coined a phrase that I’d like to connect to this game. The phrase is “dumb-addictive”, and it describes anything that doesn’t really make a high goal for itself yet at its core has a basic mechanic that is so easy to get hooked onto that you keep coming back. As film critic Gene Siskel once said, “A film that aims low should not be praised for hitting that target.” At the end of the day, Waterslide Extreme is just another dumb-addictive game that doesn’t even require touch so as to simplify the gaming experience further. It makes you feel belittled and you are all the lesser for allowing this game to rob your time, energy, and phone space. Had it been released as an early-2000s browser game, it would’ve worked better and made more sense. 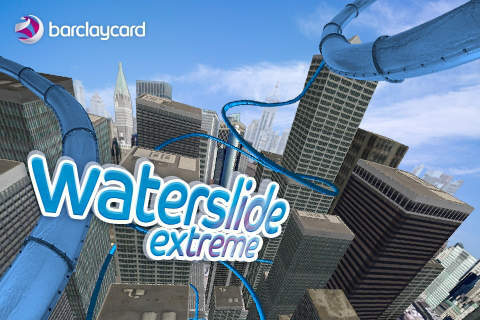 As a game that “boasts” 3D graphics that are outdone by many a 2D mobile experience, the only way Waterslide Extreme could’ve dug itself any deeper is if it asked for money. Do you have any good mobile games to recommend to me? Leave them in the comments and have yourself a good rest of the summer. let’s see what happens, friend. An update of what’s to come. Now, last month Sammwak turned four years old. This is by all means a milestone for me, considering I’ve never put so much effort and energy into a single thing ever. Along the way we hit 100,000 hits, which was an even bigger achievement for me. Even now, I receive comments from people who sincerely enjoy my content. If my site statistics are right, I’m getting viewership from all around the world. After my little hiatus last year leading into this year, I decided to dust off the old keyboard and whip up two posts that I put up back in April. But those two posts probably required the most work I’ve ever had to put into this blog, and I started to think about the future of the blog. Whether it would still be getting traffic, and how long it could be until it loses its sliver of limelight. For a while, I thought about deleting the site as a whole and putting it behind me. But that would put four years of hard work down the drain, never to be seen again. I would blog more frequently, but school and personal obstacles are more often than not the reason behind my diminishing post frequency. I remember back in 2010, when I was just surfing the Internet. And I found an opportunity to make a blog right then and there. And I took it and never let go. I made an average of 5-10 posts a day with zero knowledge of blog etiquette, but still. That is why I’m making this update. I’m not saying Sammwak is over or anything. I’m just sort of re-birthing it. It’ll be an entirely new blog. But not in the sense that I’m going to start talking about a brand new topic like fashion or nature. It’ll still be the games and books and movies and videos that I started with. Let’s try once a month, if I can keep up with that. Maybe I’ll shave it down to once every other week. Or I’ll just be usual and have a sporadic, unpredictable uploading schedule. I could go back to the old days and do it every Monday. just know that we’re in for a very crazy ride. Is Spongebob Past Its Prime? Remember when Spongebob Squarepants used to be the greatest cartoon of all time? During its golden age from seasons 1-3, it was acclaimed for its fresh humor and nostalgic elements, while also remembering that it was underwater and therefore having its own aquatic take on human society. It was–and kind of still is–one of the most iconic televised series of all time, and has received notable recognition within pop culture to this today. Everyone and their grandma remembers the “FUN Song”. Now currently in season ten or eleven, SBSP has seen what people call one of the biggest quality declines of all time. The show seemed to start losing its flow in season four, and stuff started to get serious by seasons 5 and 6. It seemed to get more disturbing as it went on to the point where it wrings jokes out of nothing, and actually makes situations the complete opposite of laughable. Take the notorious toenail scene from “House Fancy” (a season six episode), for example. Even in the midst of this, the show tries to hit us with what we were already hit with so many years ago. The biggest connection between the two eras are nonessential callbacks to the show’s heyday. Long-time fans will say that the new SBSP lacks the charm that made the old SBSP such a hit. And with declining quality comes declining ratings. Despite the show’s ongoing popularity, the show took a shocking dip in 2012, with a 29% drop in the number of kids aged 2-11 watching the show, according to Nielsen. Another popular theory is that the show collapsed due to show creator Stephen Hillenburg resigning and leaving the show in the hands of creative director Derek Drymon, which spawned a legion of new writers and crew members that tinkered with the show to unbelievable extents, doing something that TV Tropes calls “flanderization“. 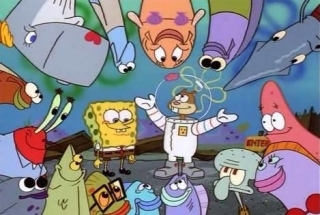 The world of Bikini Bottom got flanderized as well; it turned from a light-hearted place with a couple off-color jokes to a sadistic hellhole where surreal situations and bawdy gags ripped from Adult Swim are the norm. For many, it was the Spongebob movie that marked the beginning of the end. The movie just so happened to premiere in the time interval between the end of season three and the start of season four. The movie was a lot heavier than most regular episodes, containing darker plot lines such as the “ice cream lady” and Dennis the bounty hunter. It was sort of a somewhat-prescient insight onto what the series was going to transform into. It makes even more sense when one realizes that this was supposed to be the showstopping finale for the series before a couple things got in the way. Try imagining that scene where Spongebob and Patrick get drunk off of ice cream, looped for years on end, episode after episode, forever (or until the show ends, whichever comes first). In the end, despite how the writers are clearly starting to get dry on their ideas, SBSP might have a sliver of hope to redeem itself and bring back some good stuff. Maybe we’ll see Sandy again. Maybe an episode will go by without anything disturbing. Only time will tell. What do you think? 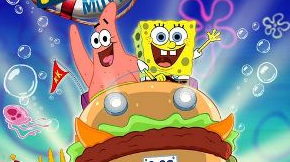 Is Spongebob truly past its prime? Leave a comment about it. Also, make sure to follow my Tumblr at http://www.prince-of-limbs.tumblr.com. WARNING: Not for moralists. Get a load of this while you guys wait for my next post. Great review. Hyperion Books for Children, 2007. It all starts with a school essay. 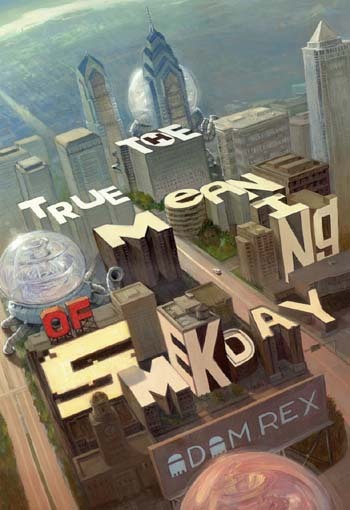 When twelve-year-old Gratuity (“Tip”) Tucci is assigned to write five pages on “The True Meaning of Smekday” for the National Time Capsule contest, she’s not sure where to begin. When her mom started telling everyone about the messages aliens were sending through a mole on the back of her neck? Maybe on Christmas Eve, when huge, bizarre spaceships descended on the Earth and the aliens–called Boov–abducted her mother? Or when the Boov declared Earth a colony, renamed it “Smekland” (in honor of glorious Captain Smek), and forced all Americans to relocate to Florida via rocketpod?